The feuding Gallagher brothers will come into dangerously close proximity at a festival in Japan. Liam’s Beady Eye and Noel’s High-Flying Birds have both been booked to play at the Fuji Rock festival, but will appear on different days. Noel Gallagher had ruled out the chances of the brothers appearing on the same bill. "I don't think either camp would allow it," he said. "What happens if we’re on the same bill? People start asking if we’re reforming, that's what. Or they’ll ask if we’re going to get on stage together and sing Digsy's f**king Dinner." The brothers' antipathy is such that they even avoid attending the same Manchester City matches, so playing the same stage is not going to be a possibility in the near future. Noel said: "I don’t need that and I doubt he does either. I’d rather avoid it all together, thank you." Liam communicates with his brother by way of the occasional derogatory tweet. Responding to news that the older Gallagher would be touring with Snow Patrol in the USA, Liam tweeted: "Snore patrol. Noel Gallagher's High Flying Smurfs. Who said rock n roll is dead?" 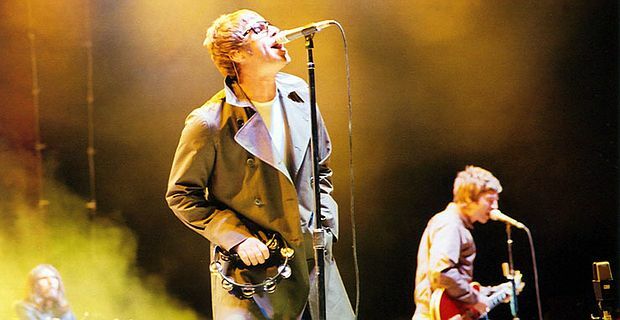 Liam, whose Beady Eye now include several Oasis songs in their live set, has agreed to sing the Oasis classic Wonderwall at the Olympics closing ceremony. The chance to perform the song, written by Noel, was originally offered to the older Gallagher, but he declined. The closing ceremony’s theme is a celebration of 50 years of British popular music, with the Spice Girls also rumoured to be appearing.